Replacing or repairing existing pools with fiberglass. 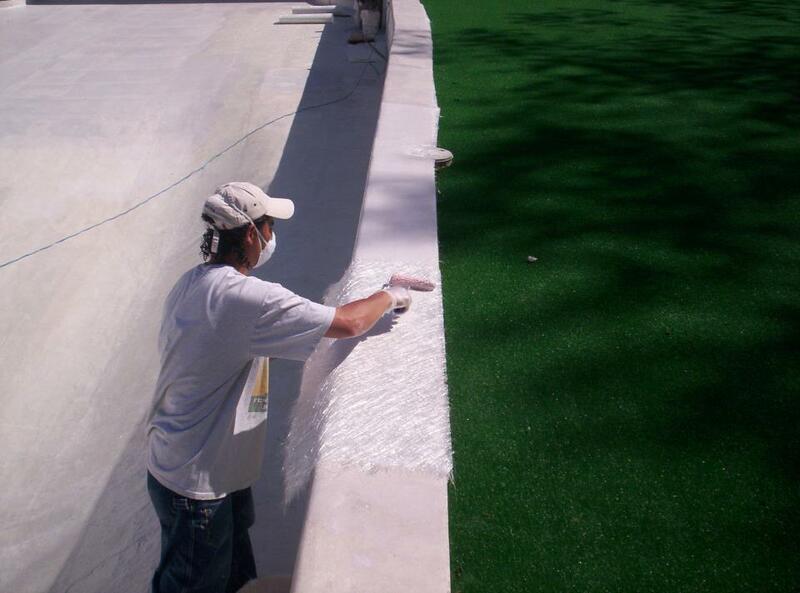 Installing Fiberglass to existing conctete, guine or steel inground pools. Refinishing pools with fiberglass by applying coating of gelcoat. CLEAN ~ The GEL-COATING is smooth and non-porous, preventing growth of MOLD and ALGAE. GREEN ~ LESS cleaning, LESS chemicals, LESS energy consumption = smaller carbon footprint. Better for the Environment! STRONG ~ It’s hard to believe anything is stronger than concrete, but fiberglass is very durable and can withstand movement in the earth better than concrete.